Other Fine Colonial Furniture available at R. Hood and Co.
by R. Hood and Co.
Kingsley~Bate: British craftsmen of the 18th century discovered what their Eastern counterparts had known for centuries, that teak has qualities unlike any other wood. 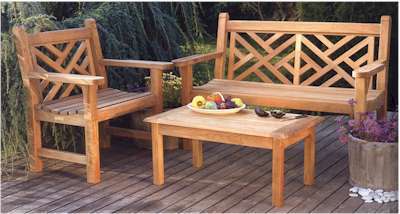 Its abilities to withstand the rigors of adverse climate, yet weather attractively, make it the ideal choice for outdoor furniture. Kingsley~Bate uses only premium quality teak and precise mortise and tenon joinery in the construction of their furniture. Visit their website. 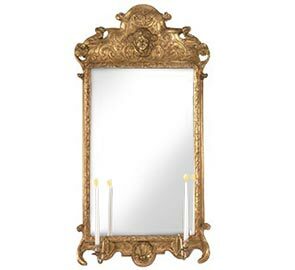 Carver's Guild Mirrors: Three hundred extraordinary mirrors & sconces from exquisite reproductions licensed by Colonial Williamsburg and Newport Mansions to Original creations by award winning designer & sculptor Carol Canner. Visit their website.